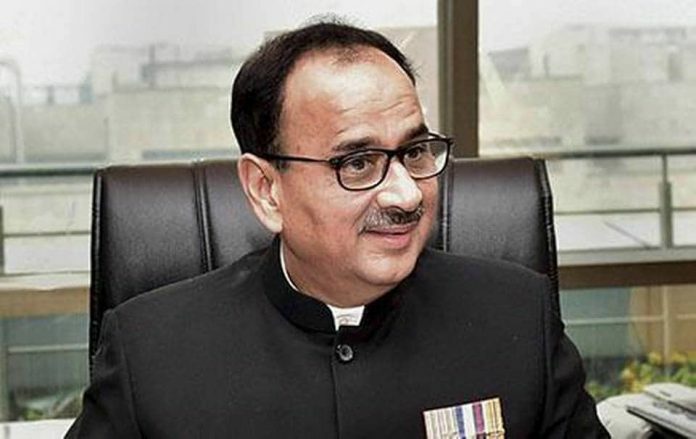 A three-judge Supreme Court Bench, led by Chief Justice of India Ranjan Gogoi on Tuesday set aside the “overnight” divestment of Alok Verma as CBI Director on the intervening night of October 23-24, saying statute empowers neither the State nor the Central Vigilance Commission to hamper with the tenure of the CBI chief. The judgment was written by Chief Justice Gogoi who, however, was on leave. The puisne judges on the Bench, Justices S.K. Kaul and K.M. Joseph, pronounced the verdict in open court. Justice Kaul read out excerpts of the judgment. The judgment upheld Mr. Verma’s contention that he should not have been divested from the CBI directorship without the prior approval of the committee of the Prime Minister, the Chief Justice of India and the Leader of the Opposition in the Lok Sabha, which has, in the first place, the statutory authority to recommend the appointment of CBI Director under the DSPE (Delhi Special Police Establishment) Act. The statute gave neither the CVC (Central Vigilance Commissionnor the government the power to disengage him from his functions and duties. These authorities cannot assume superintendence over the CBI Director when there is no legislative intent to back their assumption. The judgment said Mr. Verma shall, however, take no “major policy decision” till the high-powered panel takes a call on his fate. This committee has to meet within a week. Mr. Verma is retiring by the end of this month. The court held that the very legislative intent behind amending the DSPE Act and empowering the Prime Minister-led panel to recommend the appointment of a CBI Director was to insulate the functioning of the agency from the State and political higher-ups. The judgment extended the interpretation of ‘transfer’ of the CBI Director to also mean his divestment. The Section 4 of the Act requires the prior approval of the panel before transferring the CBI chief before his statutory two-year tenure is over. Henceforth, any change in the tenure — whether transfer or divestment — of the CBI Director would be done with the prior approval of the panel. On December 6, 2018, the Bench reserved order on Mr. Verma’s petition and another filed by NGO Common Cause. On the last day of hearing, Chief Justice Gogoi quizzed Solicitor General Tushar Mehta, appearing for the CVC, about its tearing hurry to divest Mr. Verma “overnight” of his powers on October 23. The enquiry against Mr. Verma was based on a complaint of misconduct filed by CBI Special Director R.K. Asthana with the Cabinet Secretary on August 24 in the background of a bitter feud between the two. The complaint ultimately led to Mr. Verma’s removal on the intervening night of October 23-24. Mr. Asthana was also exiled the same day. Mr. Mehta had countered by terming the sudden action a result of an extraordinary situation. “Two senior-most CBI officers [Verma and Asthana] had turned against each other. Instead of probing cases, they were raiding each other, registering FIRs against each other. They may tamper evidence. This was a surprise situation!” he said. The court had repeatedly asked why neither the CVC nor the government chose to take prior approval from the Prime Minister-led panel before removing Mr.Verma before the end of his statutory two-year tenure. The government and the CVC had vehemently argued that there was no need to consult the panel. The court had indicated that the government and CVC had not come out with a reason for not consulting the panel before removing Mr. Verma. The Chief Justice had questioned the ambit of Section 4 of DSPE Act. It said that CVC’s superintendence over CBI was restricted to only probes in corruption cases. Can the CVC go beyond Section 4 of DSPE Act, the Chief Justice asked on the last day of hearing. Mr. Mehta had argued that Mr. Verma’s divestment of his powers did not amount to a ‘transfer’. “Word ‘transfer’ would mean a person is divested permanently from one place and invested permanently in an equivalent position in another place… On October 23, considering the seriousness of the allegations, we decided to do something [divestment] which was less than a transfer,” he said.